The debate on whether it’s better to invest in residential over commercial continues to divide investors. Proponents of investing in residential say it’s the least risky option, while those who are in favour of commercial would argue that commercial is safer due to its cash flow potential. Many investors of course don’t choose between the two: They look at both to see how it may fit their portfolio. The average rental return for residential properties across Australia’s capital cities is 3.6% according to CoreLogic RP Data. In contrast, it’s not uncommon to get anywhere between 8% and 12% gross rental yield for commercial properties. While a residential tenancy can turn over every six to 12 months, a commercial tenancy can be anywhere between three and 10 years. Tenants also tend to stay longer especially when they’ve invested some capital customising the premises. Unlike residential properties where landlords are liable for paying rates, such as council, water and body corporate, commercial tenants often pay these outgoings for you. Commercial properties at the lower end of the range are generally lower priced compared to residential properties so you need a smaller capital outlay. For example, a car park may cost $80,000 as opposed to $400,000 for a small bed-sitter. Investing in commercial property could be a great way to get into the market sooner compared to saving for a residential property investment. When the economy is strong, businesses flourish and demand for commercial properties generally rises. But when there’s an economic downturn, demand for commercial premises usually falls. While commercial properties attract long-term leases of three to five years or more, it can take longer to find a tenant. It’s not uncommon for commercial properties to have long vacancies, which means you will need to cover all the cost during this period. Changes in supply conditions can create potential problems for investors. An increase in new property coming on the market in the same area creates a threat to existing tenancies as tenants may look to upgrade or expand. Strong supply can also reduce potential yields. While major infrastructure changes in the area can attract commercial investments there, it can also lure tenants away from existing areas and older commercial premises. This could result in your property becoming vacant. The value of commercial properties closely correlates with the lease on the property. If a commercial property becomes vacant, or the lease is about to expire, the value of the property would generally be expected to fall. In contrast, any price falls associated with residential properties are generally less dramatic and usually happen progressively over a longer period. 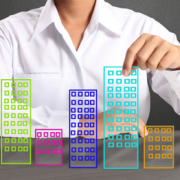 So, should you buy commercial or residential? It depends where you are now in your portfolio. If you’re looking to diversify and want a cash flow injection, a well-located commercial property might be a good addition. Just make sure you do thorough due diligence and understand the risks involved. Has a family member or friend asked you to be a ‘co-borrower’ or guarantee a loan for them? Before you say yes, think carefully – you could lose not only your money, but valuable assets such as your house or car. What is a guarantor or co-borrower? You are a co-borrower if you sign a loan with someone else. In most instances both you and the other co-borrower are jointly and individually liable for the debt. 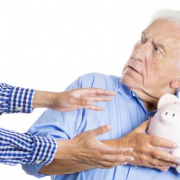 If the person you borrow the money with is unable to pay their share of the loan, you will be responsible for repaying the full amount outstanding. If a credit provider is not willing to give a loan to a person on their own, they may ask for a guarantee. If you sign a guarantee for a friend or family member, you are known as the ‘guarantor’ of the loan. When you sign your name as a guarantor, you are legally responsible for paying back the entire loan if the other person cannot or will not make the repayments. You will also have to pay any fees, charges and interest. As a guarantor you don’t have the right to own the property or items bought with the loan. Think very carefully before guaranteeing a loan. Is there another way you could help without becoming a guarantor? For example, could you contribute to a deposit so that a guarantee is not needed? Consider how you will pay back the loan if your friend or family member can’t. Can you afford the repayments? Do you have savings you can use or assets you can sell to pay the debt? If you do have to use your own money or assets to pay off someone else’s loan, you could be risking your financial future. What about your relationship with the borrower if something goes wrong? It may be better to say ‘no’ now and avoid damaging your friendship. You will need to tell your credit provider about any loans you are a guarantor for, when you apply for credit. They may take into account the loan repayments on the loan you have guaranteed when they assess your ability to repay a new loan. This may stop you getting a new loan even if the person who’s loan you are guaranteeing is making the repayments. You may end up with a bad credit record if you and the borrower can’t pay back the guaranteed loan. The loan will be listed as a default or non-payment on your credit report, making it hard for you to borrow money for several years. You may also affect your credit score, a number based on an analysis of your credit file, at a particular point in time, that helps a lender determine your credit worthiness. If you provide security, such as a mortgage on your home, to guarantee someone else’s loan, you may not be able to use your home as security for your own loan. You may even end up losing your home if you don’t pay out the guaranteed loan. You may also be made bankrupt by the credit provider. Even assets you haven’t offered as security for a guarantee may then be sold to pay the outstanding debt. Before you guarantee a loan, ask the credit provider the following questions. What type of loan am I guaranteeing? Be very careful about guaranteeing a loan that has no specific payback time, such as an overdraft. This kind of loan could potentially go on forever. What should I check if I am asked to guarantee a business loan? Find out everything you can about the business. Ask for a copy of the business plan to understand how it intends to operate. It’s also important to look at the business’ financial state. For example, check past financial statements and speak to the business’ accountant to make sure the company is in good financial health and has good prospects. Is the guarantee for a fixed amount of money, or is it for the total amount owing? You are better off guaranteeing a fixed amount because you will know exactly what you owe. If you sign a guarantee for the total amount owing, you will be legally responsible for what the borrower owes now and in the future. This could include interest, fees, charges and penalties. If you think there has been an increase in the amount you agreed to guarantee without your consent, seek legal advice straight away. Exactly how much am I guaranteeing? The guarantee should clearly describe how the amount of money you owe will be calculated if the worst happens and the borrower does not pay. If you are not comfortable with the amount, ask if you can reduce it. Do I have to put up assets as security? If the loan is not for personal, household or domestic purposes, you may be asked to put up an asset such as your house as security. This means the credit provider can sell your house to pay the debt if the borrower defaults on their loan. What should the loan contract tell me? With TV shows such as The Block and Reno Rumble gaining immense popularity in the last few years, many homeowners have been inspired to carry out their own makeovers and add value to their homes. 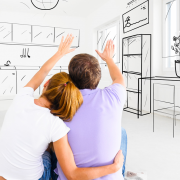 A question real estate agents often get asked is “should we renovate before we put our home on the market?”. Sellers are often under the impression that if they extensively renovate their home, they’ll be able to make a tidy profit when it comes time to sell. While renovating often does add value to a property, many sellers overcapitalise on their renovations. Improvements can add value; however, the outlay can often exceed the return. For example, major renovations such as kitchens and bathrooms can cost anywhere between $10,000 to $30,000. While it may add some value to your home, you are unlikely to recuperate, let alone double, the costs and efforts that were involved with the improvements. It’s important to acknowledge that lifestyle improvements are very different from pre-sale renovations. Adding renovations such as a pool or deck to be used throughout the years can be beneficial for your family’s lifestyle and therefore it is money well spent. However, if you intend to add a pool or a deck with only the intention of making profit, you may be sorely disappointed. It’s also important to remember that everyone has different tastes – a buyer that loves everything else may have no use for the pool that you’ve spent thousands on installing. While properties often need repair and maintenance to keep them looking their best, this should not be confused with large renovation projects. Your home should be presented well in order to achieve the best price possible – but there is no need to get carried away. The longer a property is kept, the greater chance there is of recuperating the value of the improvements. If a property is sold soon after a renovation, the likelihood of regaining the full financial costs are minimal. http://brickhill.com.au/wp-content/uploads/2017/05/renovation-e1494845870175.png 333 600 admin http://brickhill.com.au/wp-content/uploads/2017/03/brickhill-340-x-156.png admin2017-05-15 20:59:452017-05-15 21:03:04Should you Renovate Before you Sell? 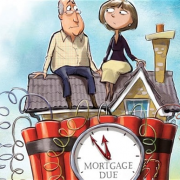 Interest Only Loans: – Is it a ticking bomb? Why are APRA and the RBA so concerned? The common aim with property investors is to create long term wealth by amassing a property or few then allowing the real estate market to increase whilst keeping expenses low. An easy way to attack this strategy is by structuring the investment loan as interest only (keeping the loan repayments to the bare minimum) meaning that the principal remains the same with the forecast that house prices will continue to rise. With paying off only the interest portion of the loan, if the trend on increased housing prices continue to rise, then so will the equity in the property (equity is the difference between the value of the home and the amount owing on it). Ok, so this common investment strategy seems to make sense, right? This can be a good strategy to work towards and with high tenancy rates, increasing property prices and historical low interest rates all looks good. The concern of The Australian Prudential Regulation Authority (APRA) which oversees banks, credit unions, building societies, general insurance and more, is one of a market where many investors potentially could fall into mortgage stress and overall financial difficulty. You might be asking yourself how could this happen with high property prices and low interest rates? If property prices started to decline (like they have done in a few mining towns and regional areas around the country), depending on the loan amounts, we could see people left with properties which are worth less than what they owe on them. Not to mention in a negative market comes an increase in tenant vacancy rates which obviously makes it more difficult to rent out the investment home let alone with a decent rental agreement. Now the issue is that if the above scenario occurred (which it has done in certain areas) and we’ve had people who’ve used the majority of their equity to purchase another one or two properties, along with the reduced property prices and a slowing rental market, could see these investors potentially fall into some financial difficulty and this is where we start to see an increase in mortgage stress. Let’s not forget that the principal does need to be repaid at some point in time and will see an increase in repayments going from interest only to principal and interest, which can be a challenge in a declining market. On a $400,000 investment loan with a rate of 4.5% (over a 30-year term) and an interest only period of 5 years has a monthly repayment of $1,500. When the interest only period ends, the repayments change to include the principal which increase it to $2,283 per month. That’s an increase of $783 extra per month that needs to be accounted for to start reducing the principal portion of the loan. What if interest rates increased by 1%? Well that then adds an extra $334 per month that needs to be repaid, just in interest! http://brickhill.com.au/wp-content/uploads/2017/05/interest-only-e1494152676377.png 312 500 admin http://brickhill.com.au/wp-content/uploads/2017/03/brickhill-340-x-156.png admin2017-05-07 18:35:312017-05-07 20:29:45Interest Only Loans: – Is it a ticking bomb? 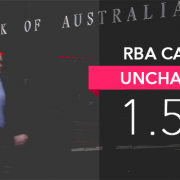 As lenders continue with their out of cycle rate increases the Reserve Bank of Australia has kept the official cash rate on hold at 1.5% for the ninth month in a row. This decision was widely anticipated by economic and finance experts across the country given the current national and international environment. This follows new data released yesterday that indicates the strong Sydney and Melbourne property markets may be close to peaking following APRA’s intervention into the levels of interest only and investment lending the banks are funding. It also appears the Reserve Bank is waiting to gauge the impact of next Tuesday’s federal budget on overall economic sentiment.